For New Year’s Eve, Homebrew Husband and I had dinner and hung out with good friends (sans children) at a local, casual, historic hotel. It’s a bit hard to describe this place. Local Pacific Northwest folks, it was one of the McMenamins properties called The Anderson School. The hotel is a converted High School with kitchy rooms and a small collection of restaurants and pubs. The grounds feature functional Northwest style pocket gardens, through which one can wander. Our package New Year’s Eve deal included dinner and drinks, a night in one of the funky rooms (ours was decorated with paintings of vintage gas station memorabilia), a bottle of champagne, and breakfast the next morning. Homebrew Husband and I maximized our couple away-time by showing up early on the 31st and leaving late on the 1st. Naturally, I spent the morning of New Year’s day poking around the grounds, looking for garden ideas and inspiration. 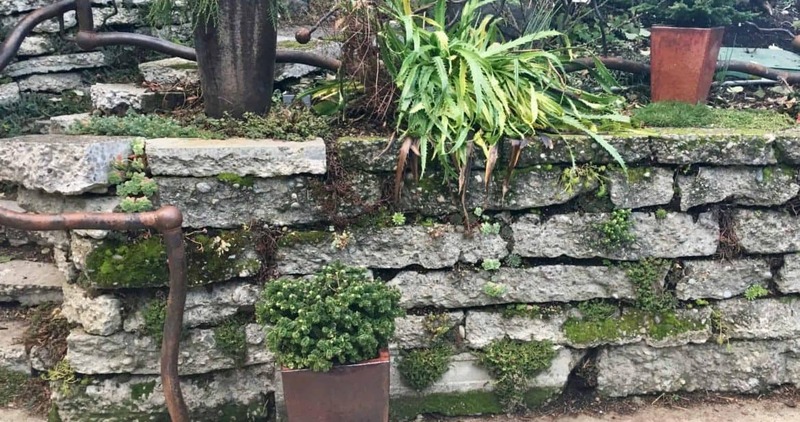 I was struck by this large, dry stack retaining wall made from old chunks of broken up concrete. The marketing term for “old chunks of broken up concrete” is urbanite. Urbanite has a lot going for it: it’s durable and heavy like natural stone, reusing this product in garden and landscape design takes it out of the waste stream, it’s often a uniform thickness which makes it easy to stack or lay as a permeable patio surface, it’s often available in most urban locations, and it’s frequently free for the hauling. Free is good. Drawbacks to urbanite can include potential contamination – this is more of an concern if your urbanite comes from a torn out commercial parking lot where all manner of auto fluids may have seeped into it than from the neighbor’s pool deck tear-out. 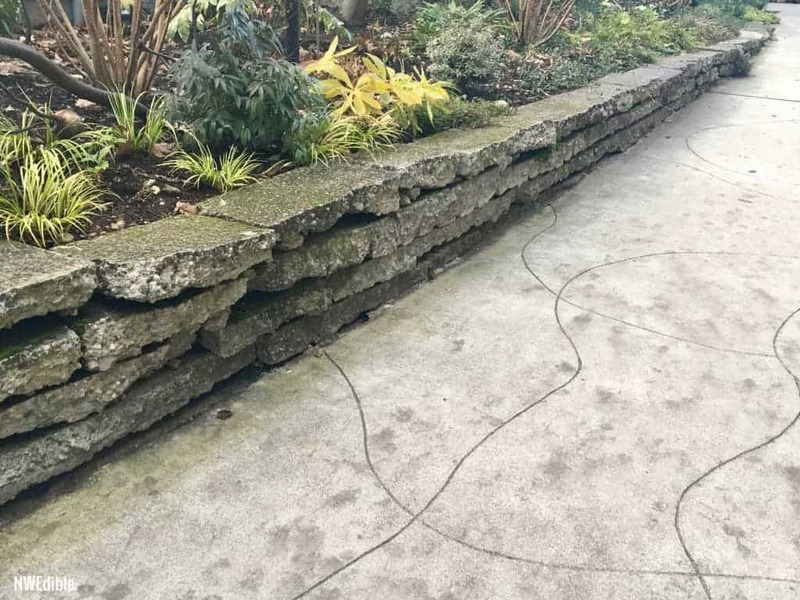 Concrete itself can contain additives that might pose a health or contamination risk, although my feeling is that old, weathered concrete has probably already leached the worst of itself out somewhere else. I probably wouldn’t use urbanite to build edible garden beds, but I can see great potential for turning this waste product in retaining walls, steps, and patio areas. 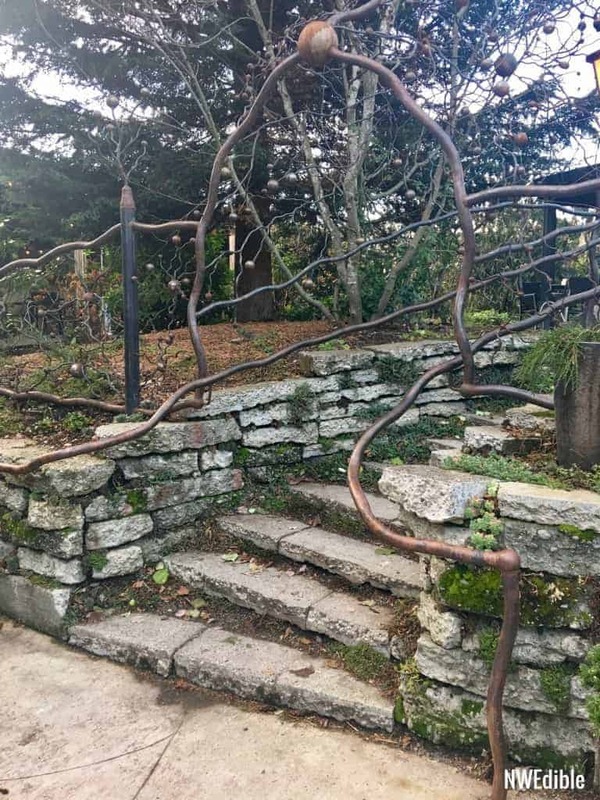 Here are the urbanite steps and retaining wall at the Anderson School hotel, plus a funky metal sculpture/handrail thing. This patio had a zillion drunk people on it 8 hours before I took this photo, so I’m not exactly featuring the space at it’s best. 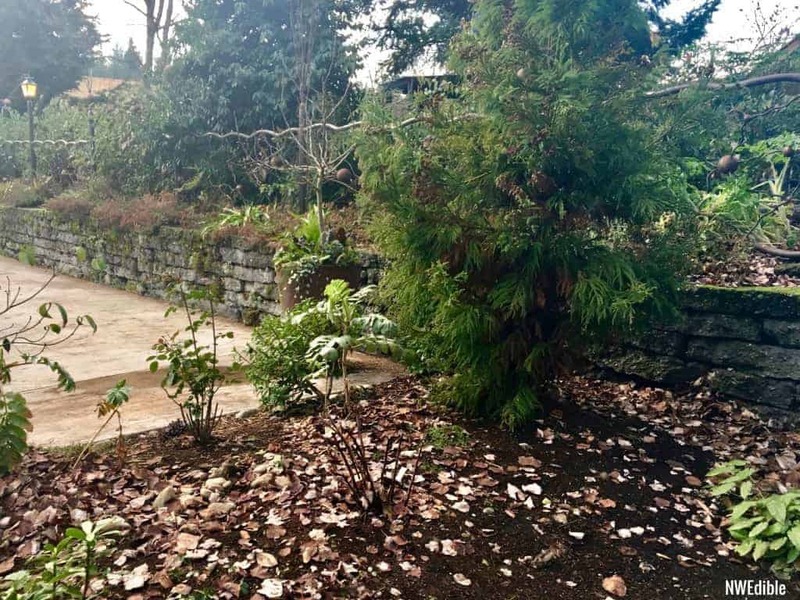 (Image the patio after a nice pressure washing.) Still, you can see the dry stack urbanite wall makes a functional and reasonably attractive weathered backdrop. My favorite perspective on the wall is actually close up. 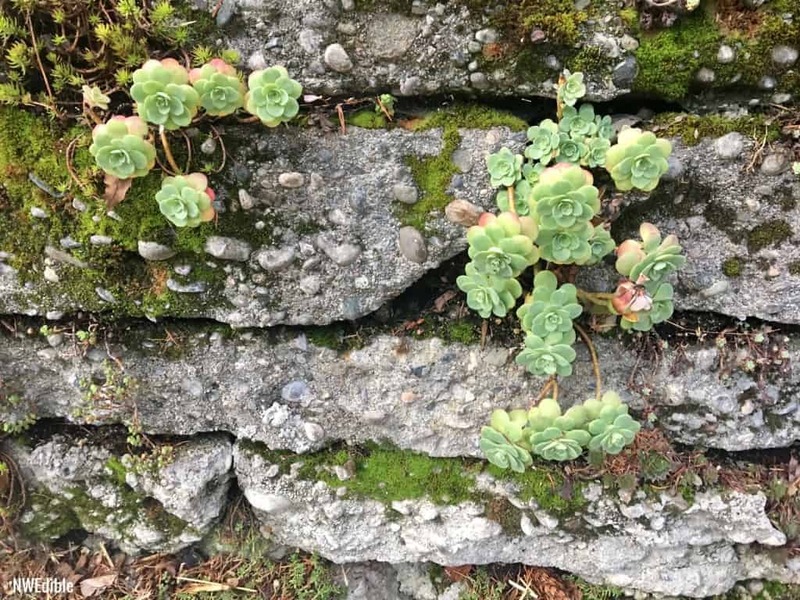 Sedums, moss, and rockery-loving alpines dress up the cracks of the wall beautifully. Some of those lovely sedums. Anyone know what this type is called? Where the wall was shaded, thick layers of moss took over. 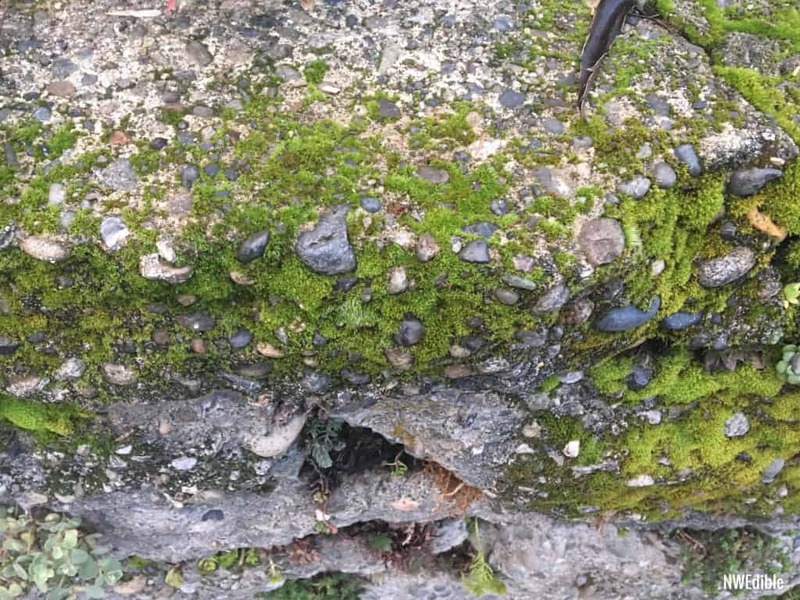 I like the way the pebbles from the concrete aggregate pop out from the thicker moss layers. The wall rounded a corner and the continued until it was level with the sloped walkway. Note how the wall shrinks from 4 or 5 courses of urbanite down to none as the path rises up to meet the level of the wall. Of course, this is just one example of urbanite reuse I stumbled into after a pleasant evening of friends and champagne. 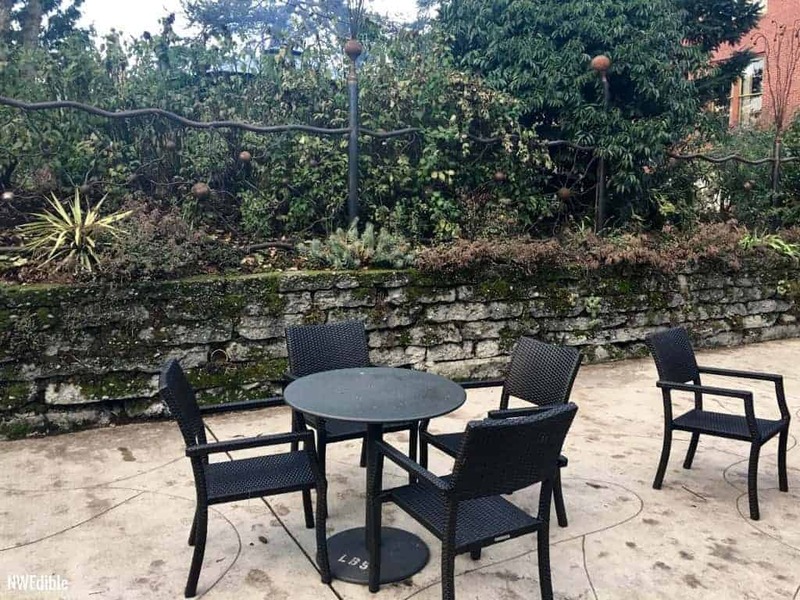 A quick image search turned up loads of examples of people using old concrete to make lovely new patios, raised garden areas, paths, walls, seating areas and more. What do you think? Would you incorporate urbanite into your garden or landscape design? Have you? Let me know your thoughts in the comments. I believe the plants are not Sedum, but what are commonly known as ‘Hens and Chicks’ a member of the Sempervivum group of succulent plants. 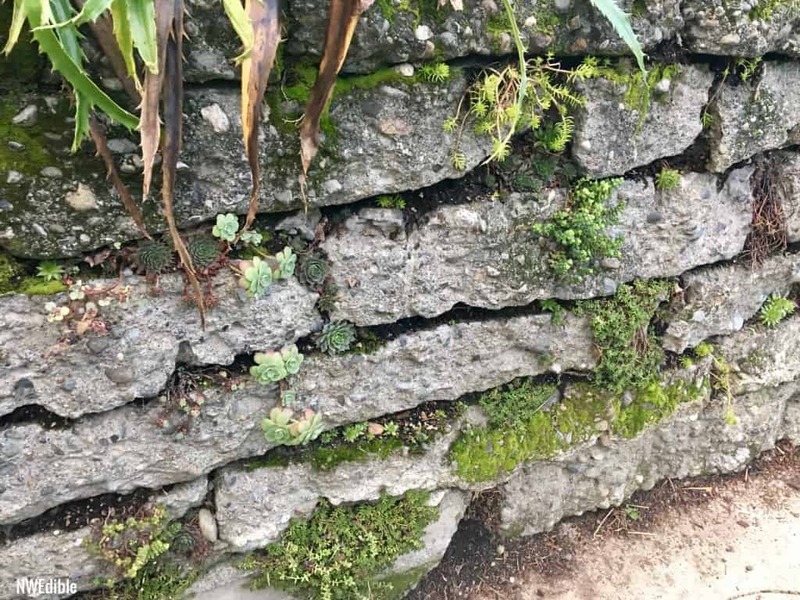 They grow in the same places, rocks, walls etc. Lots of info when Googled. Thank you Pat! The Hens and Chicks I have have a more pointy, almost agave-like leaf but there are probably a lot of variations – you’re right that makes sense. I’ve read that smaller chunk urbanite like you are describing is being used as substrate for new roads, too. Great that this product is finding so many avenues for reuse. Lovely stuff…. laid it in the ‘track’ leading through the lawn to a ‘parking shed’. Much more attractive and holding up well. Thanks so much for sharing your great photos of the urbanite wall at the Anderson School. They have such a large fabulous garden there. I was there just before New Year’s too, but didn’t make it to this area. I need to go back in the spring to see the garden in full swing. A few years ago when I redid my front garden I had an urbanite wall installed. I love it. We used the broken concrete patio from my mom’s place to make a “groin” – a line of heavy stuff, piled loosely – on her beach to keep the small gravel from washing away. It’s working great! Urbanite looks better imo if you stain it. Best stain ever is water mixed with iron sulfate (,a fertilizer). Which gives it a lovely yellow rust color.